After a long, stressful day, a nice, warm, relaxing bath is just what you need. Soaking in a bathtub filled with aromatic water can help you relax, improve your mood, loosen tight muscles and prepare you to sleep like a baby. If your skin is sensitive and prone to irritations, you can try out these soothing oatmeal bath bombs. They can soothe, hydrate and nourish your skin, repair the skin barrier and deal with redness and itchiness. But if you need to detoxify your skin (and your body) and completely get rid of toxins, pollutants and chemicals, then DIY bath salts are the right thing for you. And the way we live these days – every girl needs a nice, long detox bath at least once a week. This Lavender bath salt recipe is practical, fast and easy to make and pretty cheap. Lavender bath salt is always good to have around. In only 5 minutes, you can make a batch that can last you for several months. It is so simple and easy to make and gives such great results, it can easily become one of your favorite products. 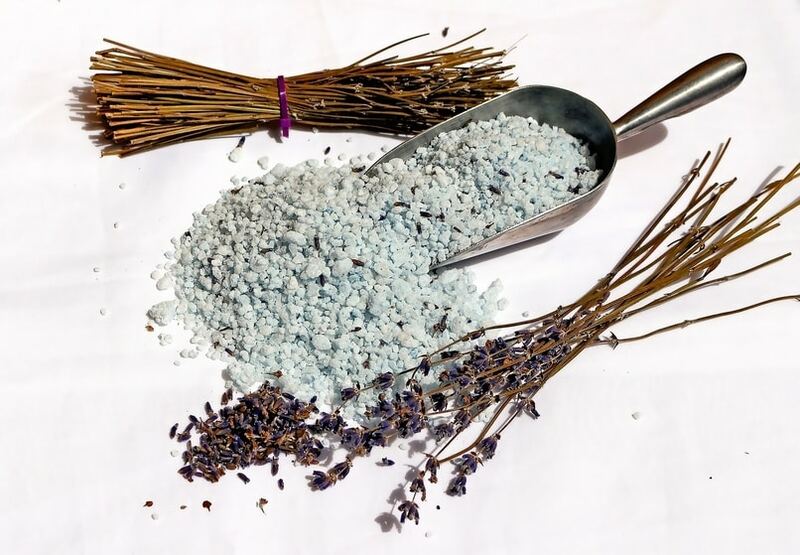 Lavender bath salts are beauty, skincare, anti-stress, wellness, mindfulness and spa products. These salts help you to both look and feel fantastic, put you in balance and keep you at peace with the world. Plus, lavender salts have numerous benefits for your health. Using a lavender bath salt once a week can help you improve your vitality, detoxify your body and skin and destress your mind. Each ingredient brings its own benefits to this powerful combination. 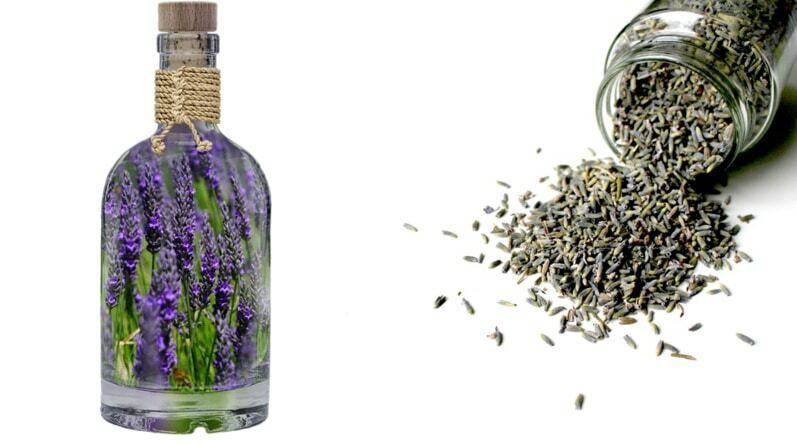 Lavender essential oil is one of the most commonly used essential oils. It is famous for its relaxing effect. This oil can help you calm down, soothe the anxiety and ease the headaches. It can even help you sleep better. Lavender essential oil also has many benefits for your skin. It has anti-inflammatory and antibacterial properties. You can use it to treat acne, wrinkles, sunburns, dry skin, eczema, burns, cuts etc. Like most essential oils, you shouldn’t use it undiluted, but it shows amazing results as a part of DIY beauty and spa products. 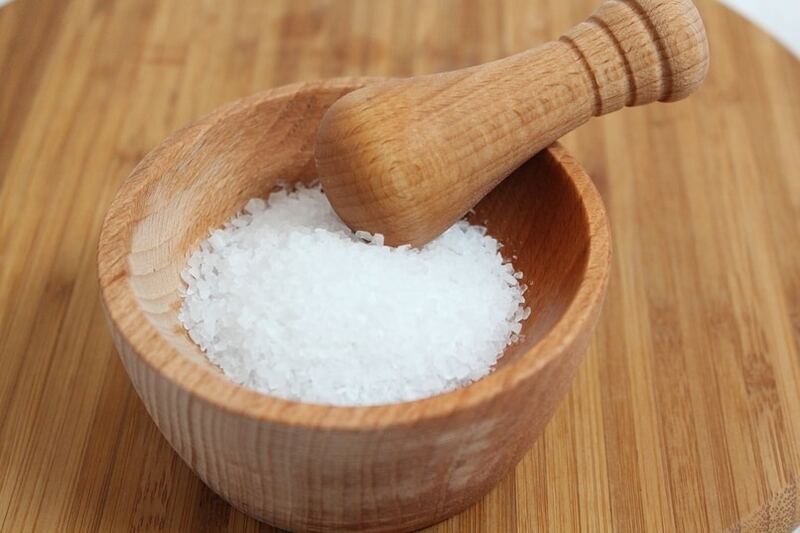 Epsom salt (magnesium sulfate) is a mineral compound with numerous benefits for your health, beauty and wellbeing. It is often used in baths because of its relaxing, healing, anti-inflammatory and detoxifying properties. Epsom salt is great for treating sprains, bruises and relieving muscle, foot or back ache. When it comes to your skin, Epsom salt dissolves dead skin cells and exfoliates your skin, gets you rid of dry, rough patches and evens out your complexion. 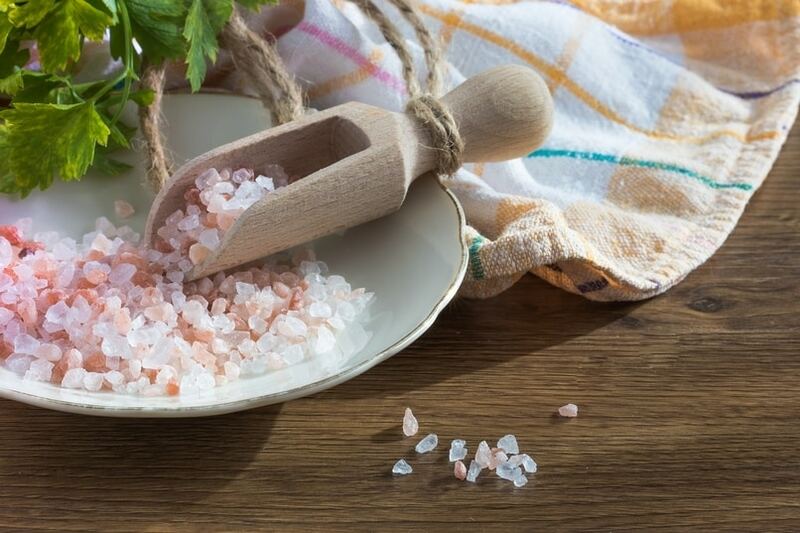 Himalayan pink salt will add some color and texture to your lavender bath salt mixture and make it visually more interesting. You can use medium or coarse Himalayan salt, or you can even mix both to add even more texture to your final product. Himalayan salt detoxifies and exfoliates the skin and balances its pH. It makes your skin soft, smooth, healthy, youthful and radiant. In a large bowl, mix Epsom salt and Himalayan pink salt. If you have some dried lavender, you can add it to the mixture. If not – that’s OK, the essential oil will be more than enough. Add the lavender essential oil. If you don’t like the lavender scent, you can use any essential oil that you like. My personal favorite is jasmine. Any citrus and vanilla combo also always brings a smile to my face. Or you can mix rose essential oil and dried rose petals. Seriously – anything you like. You are allowed to be as creative as you want and to make a whole lot of mess – it will all be worth it once you find your perfect combination. Mix everything thoroughly. Add around ¼ – ½ cup of your lavender bath salt to hot bath water. You can even light up some scented candles to complete the atmosphere. Sink into your aromatic bath, relax and for about 20 minutes forget that the rest of the world exists. When you’re done, apply some natural oil or moisturizer (here’s how you can make DIY Body Lotion or Whipped Body Butter). Store the rest of the mixture in an airtight container and keep in a clean, dry place. The moisture in the air can make the mixture clumpy, but stored like this, your lavender bath salt should be good for several months.